New-car registrations in Italy rose 13 percent in June to 187,642 units, according to figures published by the transport ministry. “It is the best June since 2009,” Gianmarco Giorda, director of auto industry association ANFIA, said in a statement. A closer look at the numbers shows that the double-digit growth was driven by a 33 percent jump in the country’s fleet sales and a 43 percent surge in sales to daily rental companies, according to Italy’s association of car importers, UNRAE. Sales to private customers were down 3.1 percent in June, UNRAE added. Sales to private customers are considered the most profitable of Europe’s three main sales channels followed by fleet sales and self-registrations, which are the least profitable. Self-registrations include demonstration vehicles and daily rentals. In a separate statement, Filippo Pavan Bernacchi, president of the Italy’s Federauto dealer association, said: “The very positive June result is mainly due to the battle among carmakers to grab market share.” He added that this led to the big increase in self-registrations. According to market analyst Dataforce, first-half self-registrations by independent dealers in Italy increased 51 percent to 110,000 units. Meanwhile, automakers used self-registrations on 56,000 vehicles, a 112 percent increase compared with the first half of 2016. 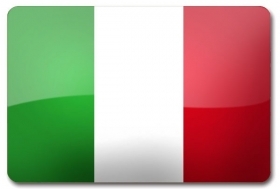 Dataforce forecasts that Italy's self-registrations will rise 40 percent for the full year to a record 308,000 vehicles. Market leader Fiat Chrysler Automobiles increased sales 13 percent to to 53,831 units. The Fiat brand’s registrations climbed 16 percent to 40,269 vehicles, helped by strong demand for the new Tipo compact and the Panda minicar. Alfa Romeo sales jumped 23 percent to 4,700 units because of brisk sales for the Giulia sedan and the recently launched Stelvio SUV. Jeep’s registrations, combined with Chrysler and Dodge sales, were 19 percent higher at 4,019 units while Lancia’s volume slipped 18 percent to 4,610 cars last month. Among other brands, Renault posted a 13 percent increase to 14,350 units, Volkswagen brand gained 4.7 percent to 13,198 vehicles and Ford’s registrations rose 18 percent to 12,255 units. Citroen, meanwhile, increased sales 54 percent to 7,467 units primarily because of the arrival of the new-generation C3. With 4,765 registrations last month, the subcompact nearly matched the 4,845 units that the Citroen brand sold during the same month of last year. In the first six months of 2017, registrations in Italy were up 8.9 percent to 1.13 million units, according to UNRAE. Dataforce estimates that full-year registrations will surpass 2 million vehicles for the first time since 2009, pushing the country's total to 2.04 million.